Electronic Arts has announced that their EA Originals title Fe will launch worldwide on February 16th for Xbox One, PlayStation 4, Nintendo Switch, and even on PC with Origin. 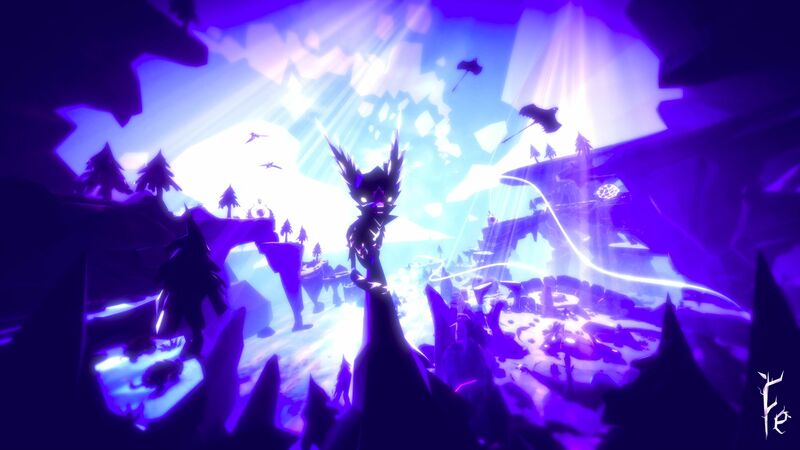 Developed by the award-winning Swedish studio Zoink Games, Fe is an imaginative open world platformer where players will embark on a wordless adventure, exploring and unearthing the secrets of the forest through sight and sound. New gameplay was revealed in a Nintendo Direct today to celebrate the announcement of the official launch date, giving players a deeper glimpse into the gorgeous world of Fe. You can check that out below. In the game, players will uncover secrets, complete side quests, and meet the mystical creatures of the forest. Mostly you’ll spend your time rescuing plants and animals from the Silent Ones, the machine antagonists that are threatening the forest. Which, if you look at it a certain way, is a bit of a hilarious commentary coming from EA. Electronic Arts has a pretty bad rep when it comes to micro-transactions, with the chaos over Star Wars Battlefront II being the latest example. They’re often seen as the big corporate interest that cares little about gaming and only about profit. The joke that EA will start charging you for bullets has been going on so long it isn’t even funny. So for EA to publish a game that has an anti-machine, anti-big-business message is a little bit amusing from an observer’s standpoint. That said, Zoink Games do fantastic work, and Fe looks like a gorgeous, well-put-together project. Honestly, if I saw this Nintendo Direct without knowing EA was the publisher, I’d have found it a charmingly adorable indie title.